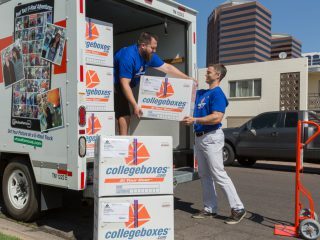 PHOENIX (Jan. 26, 2016) – Propane isn’t just used to cook and heat homes anymore, its applications are far-more reaching, and U-Haul is on the forefront of that growth. 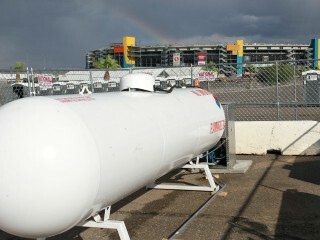 In fact, U-Haul is North America’s largest propane-refilling network. Propane is currently available at 1,100 U-Haul stores. Propane, a byproduct of oil refining and natural gas production, is widely used all over the world. In addition to heating homes and fueling grills, propane is a very viable automotive fuel. When propane is used as an automotive fuel it is often referred to as propane autogas. 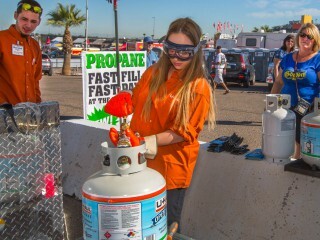 In the United States propane autogas is the leading alternative fuel and the third most commonly used automotive fuel, ranking only behind gasoline and diesel. 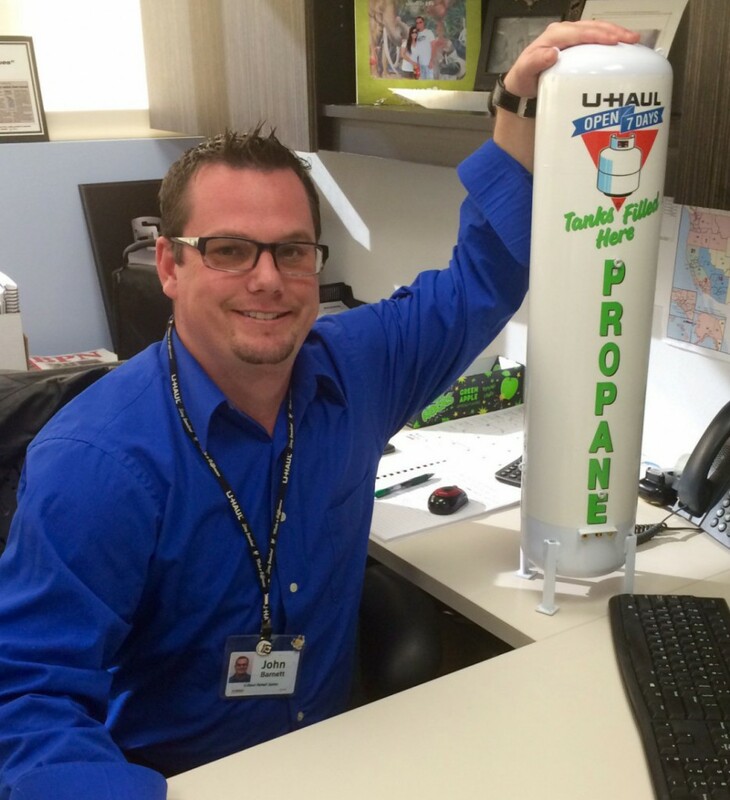 Since taking over the U-Haul propane program in March of 2015, Barnett has taken numerous steps to become better affiliated with the entire propane industry. 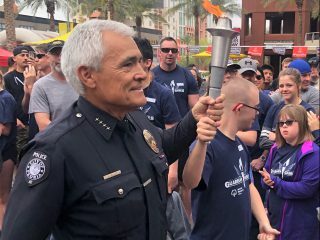 He became a member of the prestigious National Propane Gas Association and recently attended a convention where he met experts and soon-to-be mentors. Barnett is also on the board of the Propane Educational Research Council (PERC), a government-funded organization that deals with propane safety, training, and consumer awareness. Barnett is very passionate about the growth of the propane industry. He’s equally as passionate about safety. 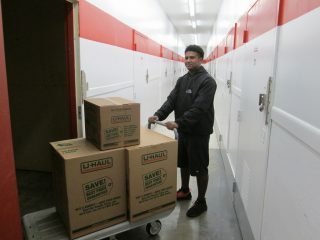 He works hard to ensure U-Haul employees have the best and most up-to-date education and training tools. You can read the entire list of propane safety tips by clicking here. 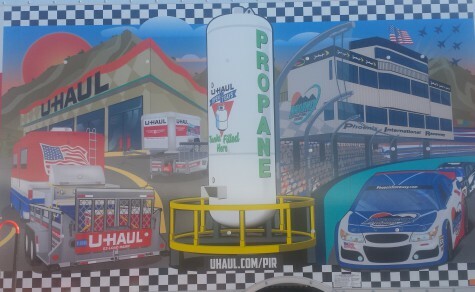 For the first time in 2015, U-Haul teamed with Phoenix International Raceway to become its official trailer and propane provider. 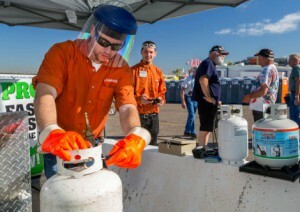 Thousands of campers became more familiar with U-Haul and its propane program. As for the future of propane, Barnett is seeing growth in a couple of directions. 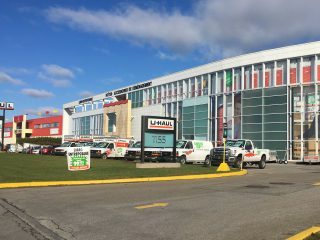 He wants U-Haul to expand in Canada. 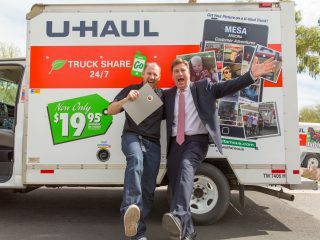 He believes our neighbors to the north are advancing in the field quickly and wants U-Haul to be a part of it. He also sees a need in the autogas market. 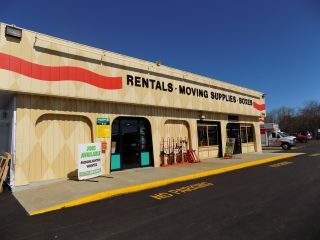 Without divulging too much of his future plans, Barnett wants U-Haul to make autogas move available across North America. 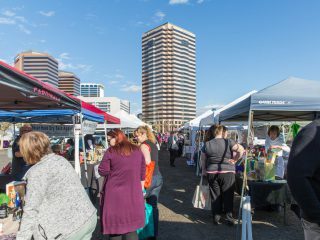 With his connections, networking, knowledge, and tenacity- they are all goals well within reach. Share what you do with propane in the comments!